It's easy to spend money in Dubai but not so easy to save. Getting good, solid advice from a financial expert who has lived and worked in the industry in Dubai should be a priority. An expert gives a little insight into saving money in Dubai. Surprisingly, although we are living in the tax free city of Dubai, we come here in the hope that we will save our Dubai earnings but somehow end up spending and spending and spending! We rely on friends or colleagues instead of turning to the experts to help you look after your Dubai earnings. 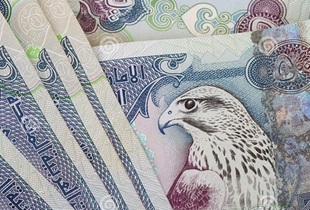 To help us all, we have enlisted the help of one of Dubai’s financial experts. Richard, a fully qualified financial expert, thrives on the variety of his job and his clients. ‘What I find satisfying is that everyone’s needs are different and so present a variety of challenges when it comes to structuring their finances’ he explains. The challenge for many people in Dubai is getting caught in a lifestyle trap – overspending without any thought for the future. ‘It’s a fantastic city to live and work but it’s very tempting to be seen to be living the dream, easily leaving residents heading for financial trouble’. Richard will be writing for Dubai Survival Guide but in the meantime, if you have any queries regarding your finances give him a call on +971 050 162 5586. As everyone’s situation is personal and different Richard prefers to answer any queries after having discussed the individual’s situation. He may be in a position to answer some general queries so please complete the form at the end of this page and Richard will respond asap. You can also reach Richard by emailing us here at Editor@DubaiSurvivalGuide.com. We will have more information from the banks as soon as possible.